The Bombers will run out to Essendon's original song in 2018. Essendon will run out onto the ground to its original team song on Friday night against Adelaide at Etihad Stadium. 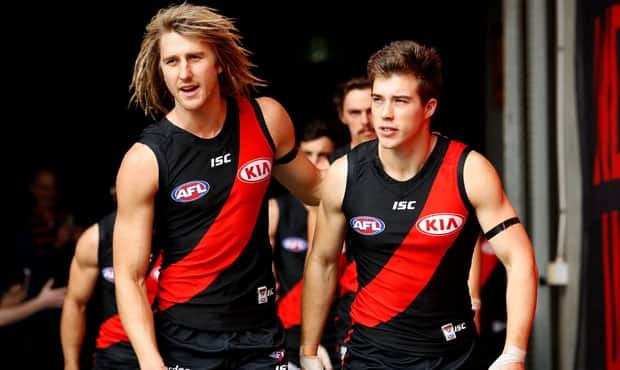 Team songs have been re-recorded by the AFL, but Essendon chief marketing officer Justin Rodski said the decision has been made to stick with the original “See The Bombers Fly Up” version. “We will stick with our original team song in 2018,” Rodski said. “The tradition of the team song is a big part of our game, particularly on match day, and we didn’t feel the song needed updating or changing at this point in time. There will be plenty of exceptional pre-game entertainment at Etihad Stadium on Friday, so make sure you are in your seats by 7:30pm at the latest to watch the Bombers kick off what is sure to be an exciting season. Tickets are still available, so CLICK HERE to purchase tickets and for more ticketing information.